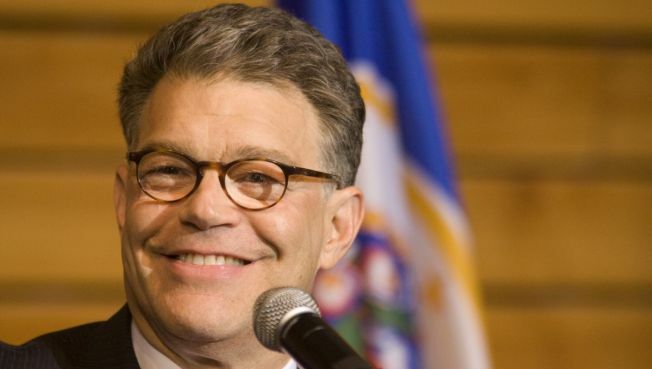 The latest numbers showed Franken with a 225-vote lead over Republican Norm Coleman. MINNEAPOLIS — New York Sen. Charles Schumer said Sunday that Democrat Al Franken is the clear winner in Minnesota's Senate race and should be seated as soon as possible. But a leading Republican lawmaker said calling the race for Franken would be premature. Schumer, who until recently was the head of the Democratic Senatorial Campaign Committee, made his statement a day after Minnesota elections officials completed the re-count. The latest numbers showed Franken with a 225-vote lead over Republican Norm Coleman. The state Canvassing Board is expected to certify the results of the re-count Monday, then there will be a seven-day waiting period before an election certificate is completed. If any lawsuits are filed during that waiting period, certification is conditional until the issue is settled in court. "With the Minnesota recount complete, it is now clear that Al Franken won the election ... and while there are still possible legal issues that will run their course, there is no longer any doubt who will be the next Senator from Minnesota," Schumer said. "With the Senate set to begin meeting on Tuesday to address the important issues facing the nation, it is crucial that Minnesota's seat not remain empty, and I hope this process will resolve itself as soon as possible." Sen. John Cornyn, the chairman of the National Republican Senatorial Committee, called Schumer's comments premature and troubling, since Schumer is the new chairman of the Senate Rules Committee, which has jurisdiction over contested elections. "Senator Schumer will likely play a key role in determining who ultimately assumes this Senate seat," Cornyn said. "Pre-judging the outcome while litigation is still pending calls into question his ability to impartially preside over this matter when it comes before the Committee, as it most certainly will." Coleman hasn't ruled out a lawsuit challenging the election results, claiming there were irregularities that gave Franken an unfair advantage. The Coleman campaign also has a petition pending before the state Supreme Court to include 650 ballots that it says were improperly rejected but not forwarded by local officials to St. Paul for counting. The court has not said when it would rule in that case. Senate Republican leaders have said the chamber shouldn't seat Franken until all legal matters are settled, even if that drags on for months. Franken campaign spokesman Andy Barr said in an e-mail Sunday: "In terms of future planning, we're taking it one step at a time. The next step is the canvass board's meeting tomorrow, where we have every expectation they will declare that Al won the election."